Mining personnel and contractors available locally. The spodumene-bearing pegmatites of this area were first discovered in 1955. Subsequent to the initial discovery, about 3,200 claims were staked and within a short time numerous additional lithium deposits were located. While some work was conducted in subsequent decades, the majority of historical exploration was completed in 1955-1958. Many of these pegmatites were tested by diamond drilling primarily in 1955 and 1956, with some additional drilling occurring in the 1980’s and 1990’s. 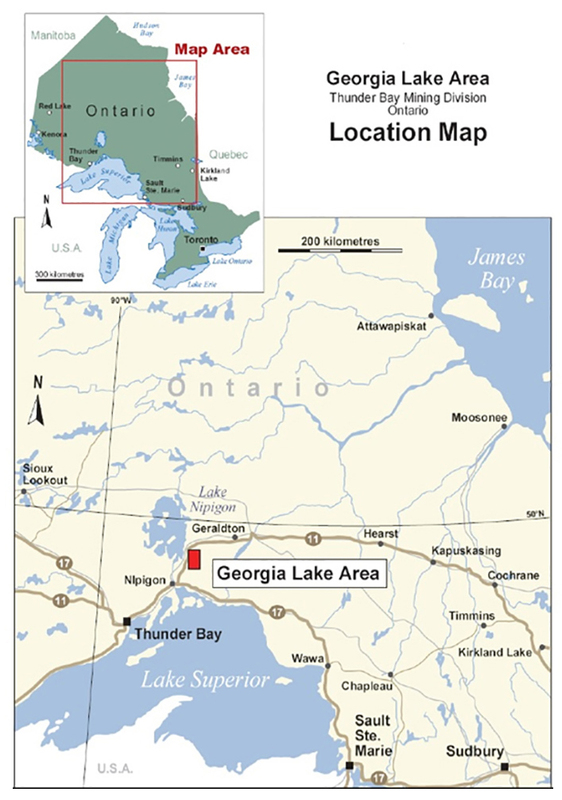 The following lithium pegmatites are located on the property. Giles Pegmatite – is exposed on Treasure Island about midway along the south shore of Jean Lake (ULI claim 4255313). It runs at N80°E strike, dips steeply at 70° – 80° S, and was traced in surface exposures and diamond-drillholes for approximately 200 metres with width of 4-15 metres. Surface sampling during 1956-7 period indicated average lithium content of 1.25% Li2O. 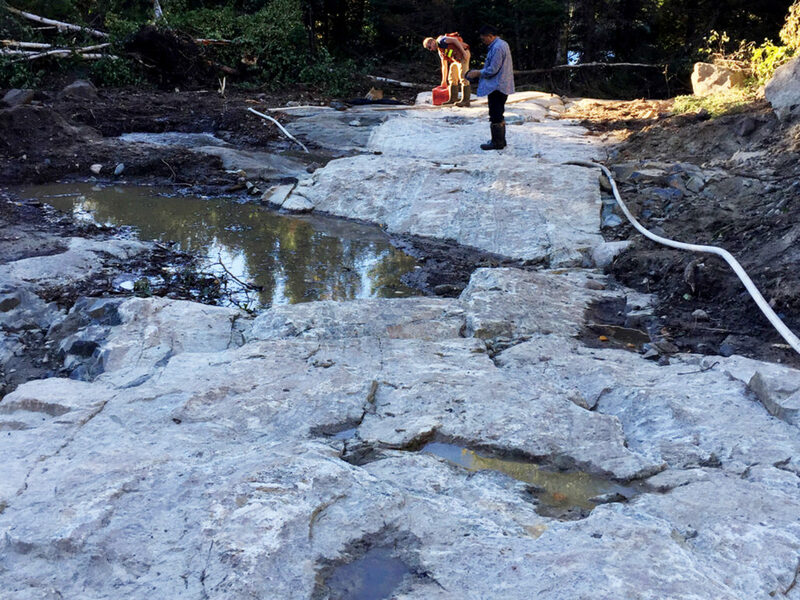 Trans Pegmatite – is a spodumene bearing lithium pegmatite dike cutting metasediments exposed along the north shore of Jean Lake (ULI claim 4266309). It strikes N50°W and dips vertically to steeply east. It is exposed for about 250 m along the lake shore with width range of 1-2 m.
Camp Pegmatite – occurs in metasediments, on the south shore of a small pond along the river connecting the west end of Jean Lake with Parole Lake (ULI claim 4266308). It strikes N50°W and dips vertically, exposed over a length of 40 metres, having a width of 2-3 m, with 25 to 30% spodumene and lithium content of 1.5% Li2O or better. Vegan No.2 pegmatite is an eastern extension of Newkirk pegmatite (ULI claims 4266301 and 4266302) and has been traced for 2,000 feet (609 m) through diamond drilling, it is average 16 feet thick (5 m), strikes N75°W and dips 35°- 45° NE. It is made up of coarse grained potash feldspar and prismatic crystals of spodumene, 5-20 cm long, in a groundmass of quartz, feldspar and muscovite. Spodumene is more concentrated in the central part; crystals are arranged parallel to each other and normal to the strike of pegmatite. Historical exploration during 1950s comprised of 19 diamond drill holes aggregating 2,423 feet (738 m). Six spodumene pegmatites dykes are documented by E.G. Pye (1965) in this area mostly held by Forgan Lake property of International Lithium Corp. The geological map indicates at least one pegmatite is extending to the south on Ultra Lithium claim 4266312. Exploration work in this area was carried out by Lun-Echo Gold Mines Ltd. during the mid-1950s. 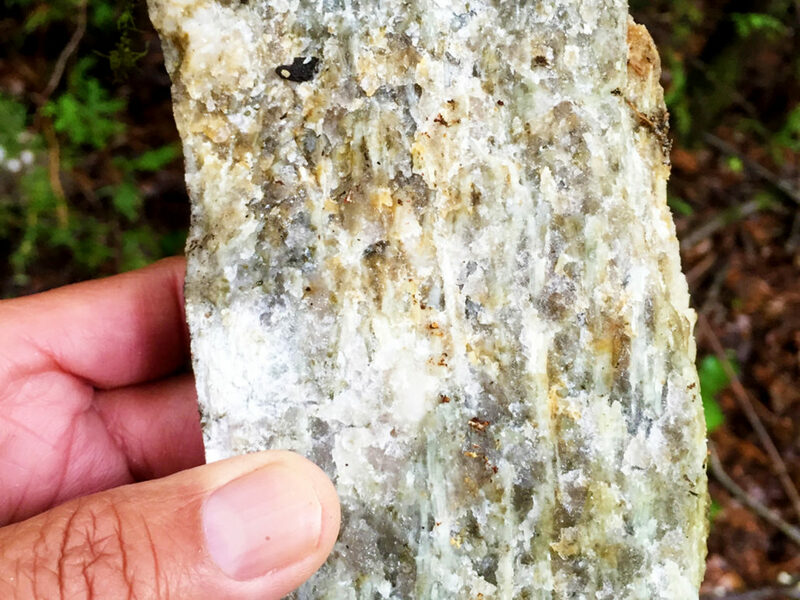 These are a series of small, beryl-bearing pegmatites occur in metasediments south of Jackfish River and west of Cosgrave Lake. The Swanson pegmatite (ULI claim 4266315) is a sill that strikes N60°E and dips vertically, mainly made up of potash and plagioclase feldspars, quartz, muscovite, beryl and accessary tourmaline. The beryl occurs as greenish yellow, well formed hexagonal crystals up to 15 centimetres in length. A channel sample taken in 1957 found to contain 2.58% BeO (beryllium oxide).